The HIIT Bottle is a double walled stainless steel protein shaker bottle. Ditch the plastic one. Designed and engineered to be a permanent solution for conventional, unreliable, plastic protein shakers. Consequently, athletes across all areas of the globe need to put the best supplements into their body and keep themselves properly hydrated. 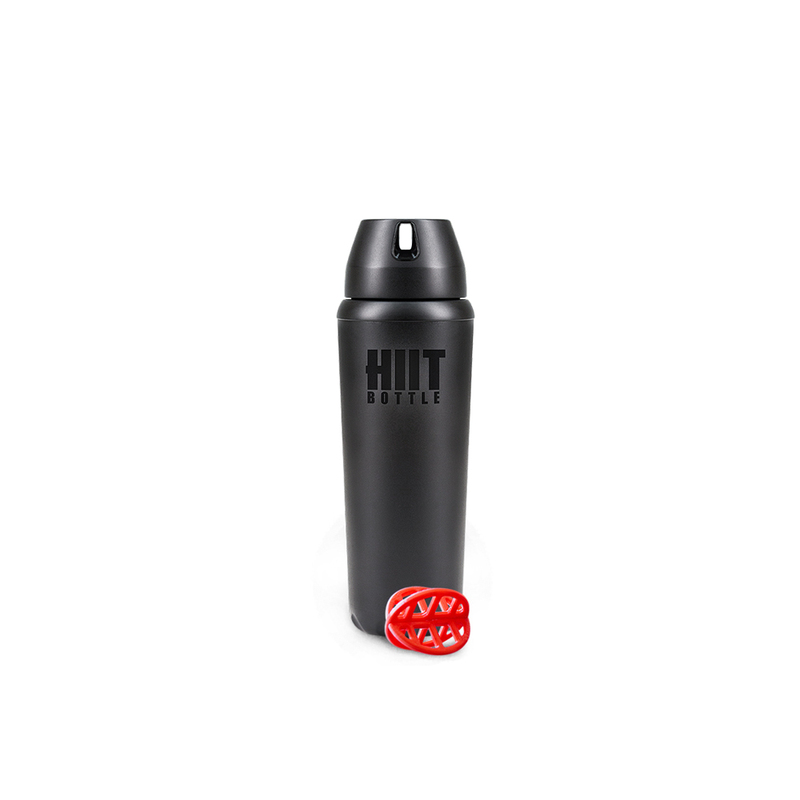 HIIT Bottle™ is an innovative company that provides a high quality, efficient, and safe product to its consumers in the active community. STAINLESS STEEL. DOUBLE-WALL INSULATION: Manufactured with Food-Grade 18/8 Stainless Steel. Non-toxic, 100% BPA-free and non-leaching. Double-walled construction that’s vacuum sealed. 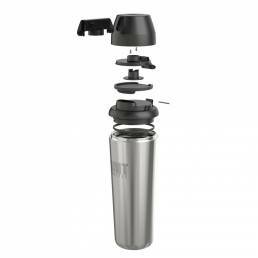 Helps maintain hot and cold liquids at their original temperatures and prevents any condensation. ODOR & BACTERIA RESISTANT: Your typical plastic protein shaker bottle retains unpleasant odors caused by bacteria build up on the edges at the bottom of the shake as the plastic bottle absorbs the supplements. The rounded interior prevents bacterial growth which contributes to foul odors. 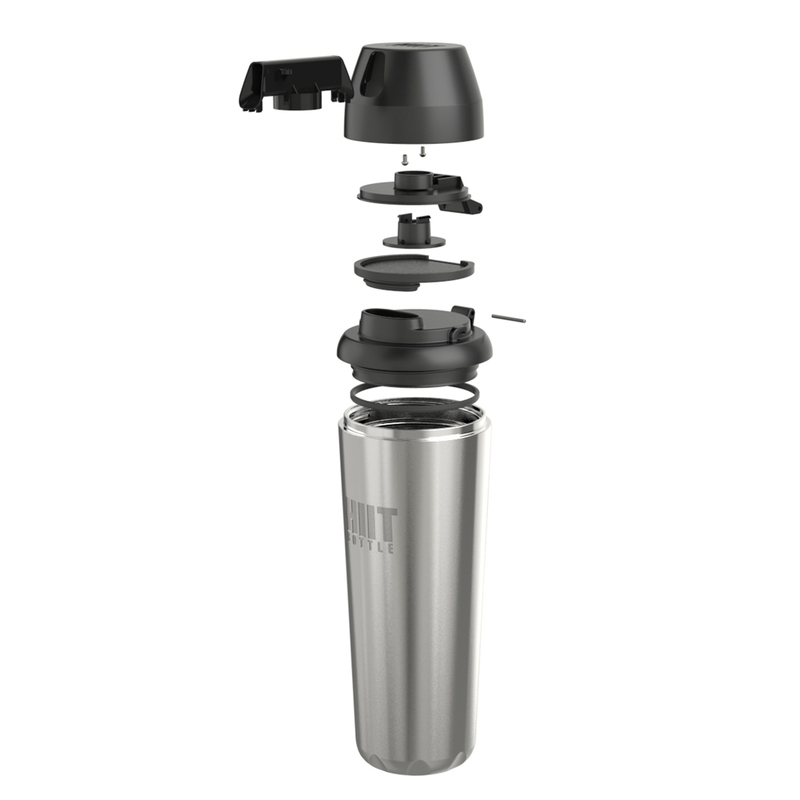 LEAK PROOF LOCKING CAP: The locking feature in the lid prevents unwanted leaks and spills. SLIM BASE | 22OZ | 650ML LIQUID VOLUME: Designed with a slim base and widened top, this design allow the bottle to fit all standard sized cup holders yet retain 22 fluid oz of liquids. 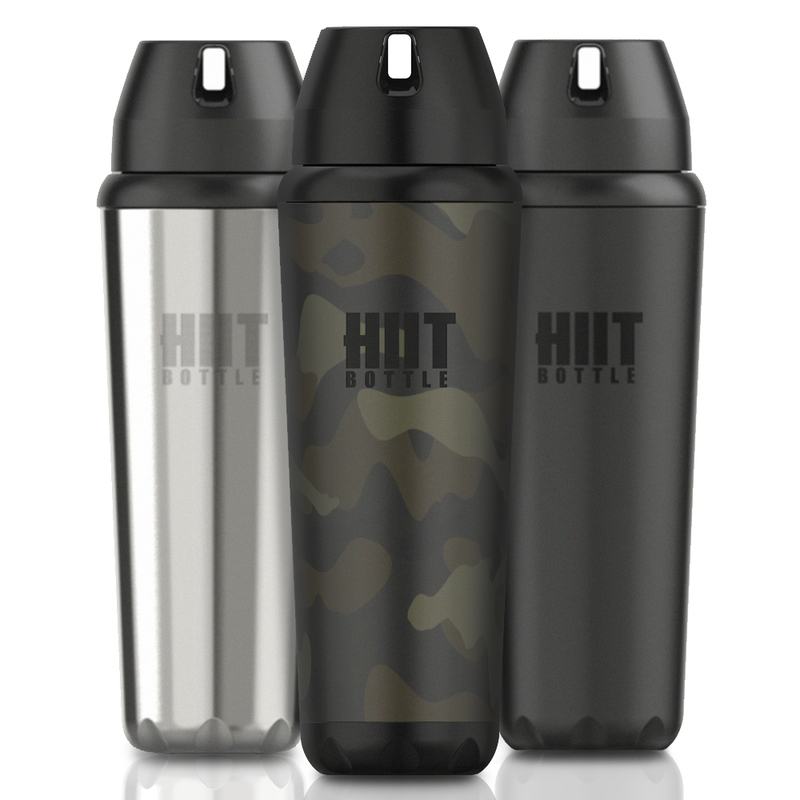 The HIIT BOTTLE was designed to be the last protein shaker you will ever buy. With proper maintenance, our bottle will last you years. THE LAST SHAKER BOTTLE YOU WILL EVER BUY! For more information about the product and to purchase visit the official HIIT Bottle website.